I have for years collected "trash": picked up interesting items that people are throwing away, walk my nose on the pavement, run for a spacer on the asfalt, and can't pass a broken umbrella. - Believe it or not, I am very organized and clean person as well, which anyone who visited my high school rental room would obviously not buy. But I am: building trash sculptures and mixed media art actually gets ignited, the inspiration rises when I see interesting items in their big glass jars or labeled shoe boxes piled cleanly next to each other, waiting to be discovered. This sculpture is 6.25 wide, 8.75 inches tall, and fits into a narrow slot on a window sill with only 1.5 inches needed (16x23x4 cm approx). You can get Ruby to your home for $50, inquire here! 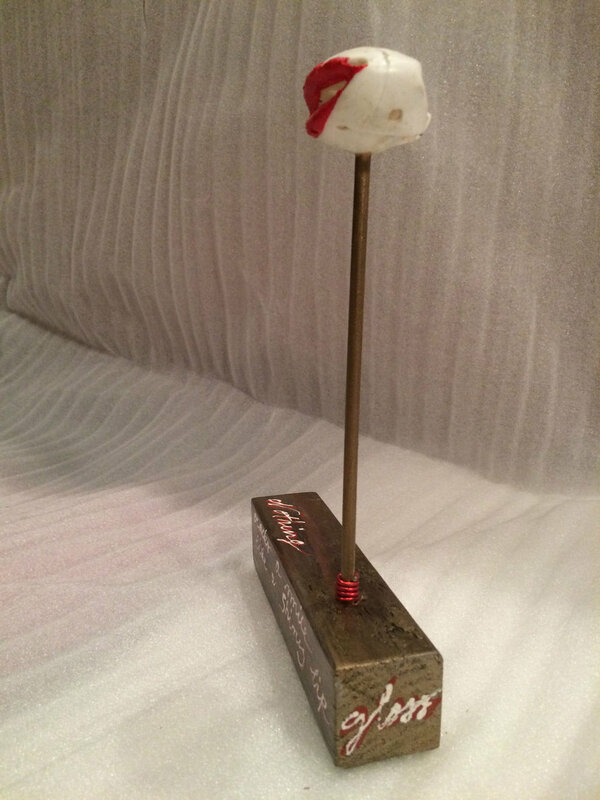 Ruby also witholds a used chopstick (yes, I did clean it after the chinese meal), and leftover wood from a construction site. 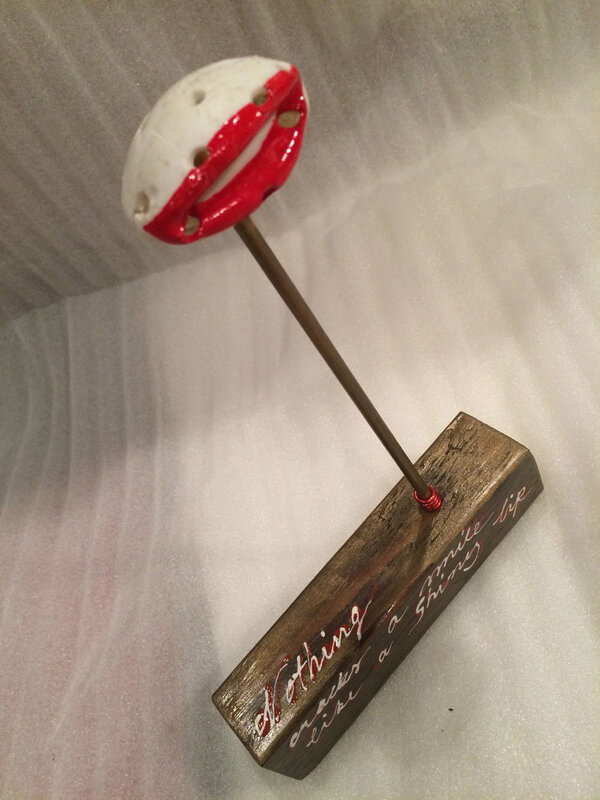 Though Ruby is upcycled, her red lips say: I should have been recycled and not thrown away. - Listen to her, folks!